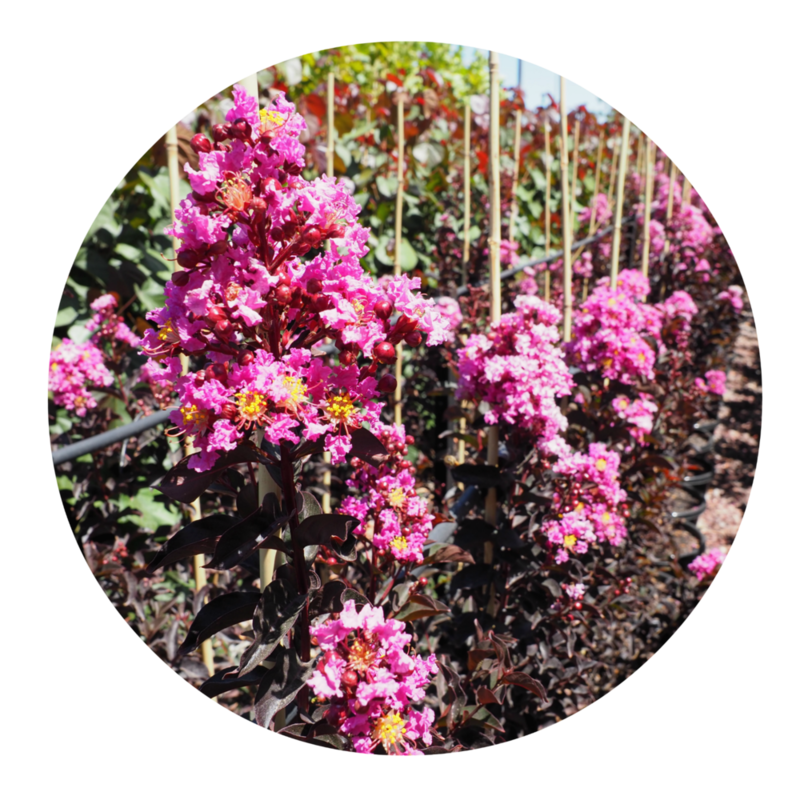 A stunning range of Crepe Myrtle with extraordinary dark, almost black foliage. The contrast of the foliage against the frothy, vivid flower colours makes for a jaw dropping display. Crepe Myrtles are beautifully suited to South Australian Gardens and Diamonds in the Dark are no exception. Plant in a full sun position. They will begin to flower in the spring and continue through the heat of summer into autumn. Growing to up to 3 metres they are easily pruned, if you wish to keep them smaller. They are well suited to growing in containers and pots also. We suggest planting them in small or large groups for full on garden drama! Once established they’ll tolerate periods of dry. We all love them at Heyne’s Wholesale Nursery. Garden designers love them. Bees love them. We know you’ll love them too! If you’re one of our Trade Customers, you can buy them directly, always check to see if we have a beautiful large Granddaddy available, if you’re looking for something super for big impact. You’ll find Diamonds in the Dark at your local garden centre or plant selling chain stores. and performs appropriately in your SAGarden.